New New York celebrates the newest landmarks of New York—Time Warner Center, Hearst Tower, Brooklyn Bridge Park, The High Line, and more—placing them in the context of the famous and beloved highlights of the city—Rockefeller Center, Brooklyn Bridge, Central Park, Lincoln Center, Metropolitan Museum of Art, Times Square. Award-winning photographer Jake Rajs captures these sites with remarkable color, clarity, and spirit, proclaiming the innovation of the newest of New York and this nostalgia of the old. An essay by architecture critic Philip Nobel offers a lively commentary to set the scene for Rajs’s compelling visual presentation. 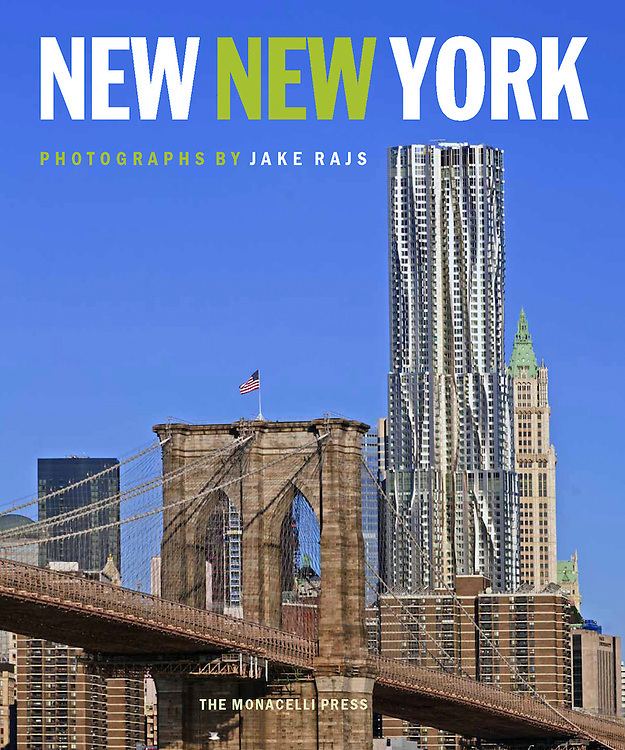 This wide-ranging portfolio is a vibrant portrait of the energy and creativity that make New York a true world capital.